NYT identifies six patients who underwent kidney transplants in Costa Rica and three Israeli men it says are involved in trafficking. Doris was originally referred to Sandler, but later changed to Volfman after she was told he could arrange transplants at a lower price. A day after their meeting, Volfman was arrested along with Sandler and others on suspicion of organ trafficking in an unrelated case. Soon after, Dorin was referred by one of her clients to Dayan. When confronted by the Times reporter to explain his involvement in the case, Dayan said, "We help people," but refused to elaborate, only adding that he had been out of business for over 18 months at the time. In a phone interview with the Times, Volfman described himself as a middleman who accompanied patients abroad to organize them accommodation, contacts and medical examinations. He insisted on never having any contact with the organ donors themselves and that it was up to the patients to choose the transplant center and pay them directly. The story says Dorin wired money to the hospital in San Jose and to Dr. Mora, who then paid some $18,500 to an unemployed 37-year-old man for his kidney. This case is merely one of thousands of illicit transplants that take place around the world each year, experts cited in the report estimate. Dorin told the Times that she even if what she was doing was illegal, after five years with a kidney disease, she felt she had no choice. In recent years, more than a few Israelis have been mentioned in media reports involving international organ trafficking, whether in Ukraine, Kosovo, Turkey or Costa Rica. The Times attributes the "disproportionate role" of Israelis involved in major organ trafficking cases partially to Jewish religious restrictions, which keep donation rates low in Israel. According to the Israeli Health Ministry, less than 10 percent of the overall population in Israel is registered as organ donors – among the lowest rate among developed countries. The ministry reported an increase in registration after the Knesset passed a law in 2012 granting registered donors priority if they ever need a transplant. Also, in 2010, living donors began receiving compensation of several thousand shekels, which may have contributed to the increase. The compensation is meant to cover lost wages and related expenses. The investigation was launched after a couple from Be’er Sheva discovered on Facebook that their daughter had flown to Turkey to have a kidney removed. Five men were indicted on Tuesday for organ trafficking, a case that came to light in recent months in southern Israel. The five allegedly controlled an extensive network of buyers and sellers. The organ "donors" have been found to be poor and to have sold organs as a last resort, frequently under alleged threat by the ringleaders. The investigation was launched after a couple from Be’er Sheva discovered on Facebook that their daughter had flown to Turkey to have a kidney removed. After the parents filed a police complaint against the ring, the police discovered that its leader had fled the country and a manhunt ensued. The police say the network was well organized, locating donors by placing ads in newspapers and by word of mouth, forging official government papers and stamps, providing medical tests for the buyers and sellers and flying the donors to Turkey, and making sure they did not contact anyone while they were there. The indictments name two men, Kobi Dayan and Uzi Shmueli, as the ringleaders, accusing them of taking most of the profits from the sale of the organs. Their job was allegedly to find the buyers and sellers, liaise with the hospital abroad and pass on instructions to the other members of the network. Another suspected member of the network was named as Daniel Pe’er, who is said to speak several languages and was assigned to accompany the donor and recipient in the Turkish hospital. The indictment names another alleged member of the network as Shlomi Biton, who was said to have been responsible for using various means to pressure the sellers, in case they decided to back out of the deal. The physician in charge of the medical side of the operation, according to the indictment, is Michael Ziss, who is alleged to have carried out the necessary tests for compatibility on donors and recipients and to advise when necessary. Some of the suspects have police records and told the police they have been involved in organ trafficking for the past decade. They also said they were connected to a crime organization. The police say that the sellers of the organs would receive payment of about 60,000 shekels ($17,100), although the buyers paid an average 800,000 shekels. The police have so far located 10 buyers and sellers, and there are believed to be many more who refuse to come forward for fear they will be harmed. Brig. Gen. Peretz Amar, commander of the Negev district police, said some of the women the police have located have already donated an organ and some changed their mind at the last minute. “The investigation is still underway and we will probably reach other individuals involved in the coming days,” he said. 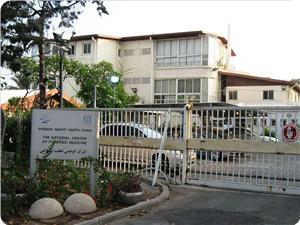 Police Investigate Israeli Organ-trafficking Ring. An Israeli man believed to be behind an organ-trafficking ring has evaded capture, according to a month long police investigation, Israeli media sources report. The main suspect is from Beersheva and is in his 40s, police in southern Israel said; a gag order on the organ-trafficking case was lifted on Tuesday. Young women were reportedly convinced to travel to Turkey to provide organs for transplant into older, wealthier women. They were promised thousands of dollars for the service. Turkish police also are investigating the case, according to Haaretz. Be'er Sheva resident allegedly enticed young women to fly to Turkey, where their kidneys would be removed and sold. Police in the south are investigating suspicions of organ-trafficking in cases where women aged 18-20 are being flown to Turkey, where they undergo surgery to remove organs that are transplanted into older women patients. The investigation, on which a gag order has just been lifted and has been underway for a month, is focusing on a Be’er Sheva resident in his 40s with a criminal record, who has fled. 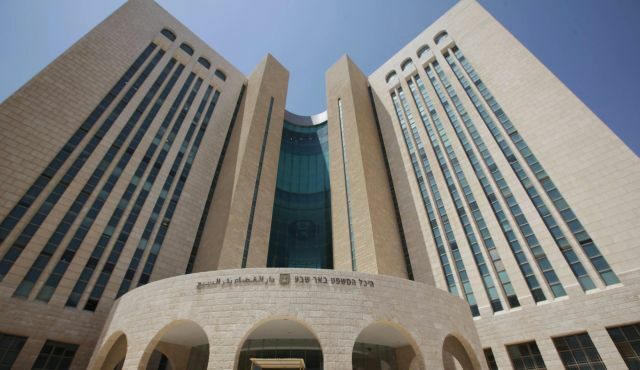 In late March, the parents of one of the young women filed a complaint at the Be’er Sheva police station after they found out that their 18-year-old daughter had flown to Turkey and was hospitalized to have a kidney removed. When the young woman returned to Israel she was detained for questioning, but it emerged that the surgery had not taken place. The woman said she had flown to Turkey for that purpose but had been pressured into returning to Israel without undergoing the procedure. During questioning the name of another young woman was revealed who had been to Turkey and donated a kidney, and was about to return to Israel. The police detained her when she landed at Ben-Gurion International Airport, where she told investigators that she had donated the kidney to a woman in her 50s who lived in central Israel, whom she had known for about 18 months. She said she felt sorry for the woman and had therefore decided to donate the kidney and had not received any money in exchange. The young woman told investigators she regretted having donated the kidney, but continued to deny receiving money for it. Police, however, believe that some young women do take money because they are in severe economic straits. The recipients of the organs admitted to the police that they had undergone a kidney transplant and that they had paid the hospital 300,000 shekels (approximately $85,700) for the surgery. One of the recipients is an Israeli citizen who lives in the United States, who returned to the U.S. after the surgery. The young women who donated a kidney all said they had not done so for payment but because of an emotional bond they had developed with the recipients. Police believe money did exchange hands, in cash, to make the exchange untraceable. Police are also investigating a doctor from central Israel whom they suspect carried out tissue compatibility tests and advised the donors before the transplant. 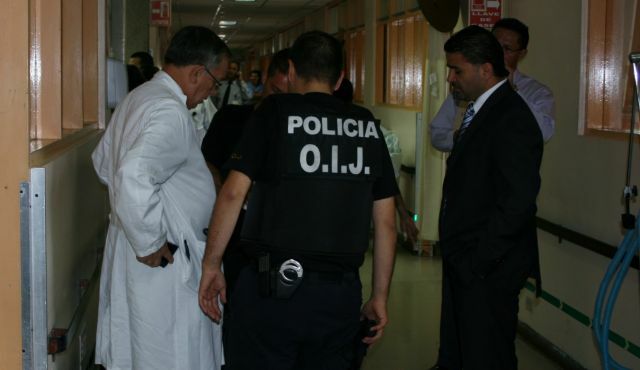 The doctor confessed to knowing the main suspect, whom he said sent him patients for various tests. The Turkish police are also involved in the probe. The main suspicion is that organs were trafficked through a third person, who mediated between the donors and recipients in exchange for payment. Israeli anthropologist Meira Weiss revealed the occurrence of mass harvesting of organs from Palestinian corpses for the purpose of using them for educational purposes or as transplants for Israeli patients. In a new book, Weiss said that she visited Abu Kabir forensic institute, an Israeli forensic research laboratory located in the Abu Kabir neighborhood of Tel Aviv, between the years 1996 and 2002 and researched into how the institute dealt with Israeli corpses, especially the body of Israeli premier Yitzhak Rabin after his assassination as well as the bodies of Israeli soldiers and Palestinians from the Israeli occupied lands. She found out that Israeli dissectors at the institute separated the Jewish bodies from the Palestinian ones before they removed body parts from the Palestinian corpses alone at the behest of the Israeli army. She noted that the Palestinian body organs were either transplanted into Israeli patients or used for research purposes by medical schools. The anthropologist said that in the first intifada of 1987, a lot of Palestinian bodies arrived at the institute where they were autopsied and harvested. Some employees at the institute described 1987 as the golden period because many Palestinian corpses were dissected and harvested without any problem or liability. Weiss said in her book that what had happened at the time was illegal, although the cadres of the institute had followed military orders. Her book vindicated the complaints that had been made by the families of the autopsied Palestinians about stealing organs from the bodies of their sons. Most say they would but don't sign Transplant Center donor cards. 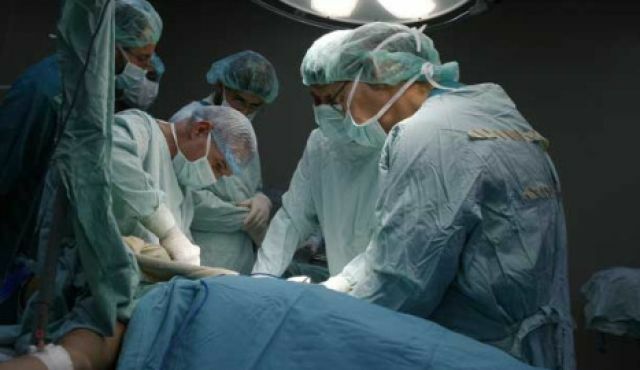 While most Israelis say they would be willing to donate their organs, few sign the “Adi” donor card issued by the National Transplant Center, a new study financed by the National Institute for Health Policy Research shows. The study shows that 68 percent of the people interviewed said they would like to be organ donors, but only 16 percent of them reported having signed a donor card. The study also shows that 64 percent of the people said their willingness to donate organs would be greater if they knew their organs would be donated to a person who himself agreed to be a donor. In the Arab sector 84 percent made this statement, compared to 52 and 50 percent in the Jewish religious and ultra-Orthodox communities, respectively. Israelis’ basic reluctance to donate organs has been consistent over the years. A study published in November 2012, based on 799 interviewees, showed that 74.4 percent had not signed a donor’s card, although 60.8 percent said they intended to do so. The study also found that women were more ready to donate organs than men, especially after death and that Jews were more inclined to donate organs after death than Arabs. In recent years the number of organs available for transplant is dwindling, mainly due to technological developments that reduce the number of people who are classified as brain dead, a state enabling the removal of their organs for donation. In Israel the wait for transplants is long. More than 1,000 Israelis are waiting for an organ transplant. Most of them – some 730 – need a kidney transplant. About 140 need a liver transplant, 100 need a heart transplant and about 70 need a lung transplant. The average waiting time is 4.3 years for a kidney, 2.2 years for a liver and seven months for a lung or heart. According to a National Transplant Center report, some 45 percent of the families of people who are brain dead refuse to donate the patient’s organs, significantly more compared to other countries. “If each person knew he’d get an organ donation only if everyone else agrees to donate their organs, then more people would be willing to donate organs,” Siegal said.